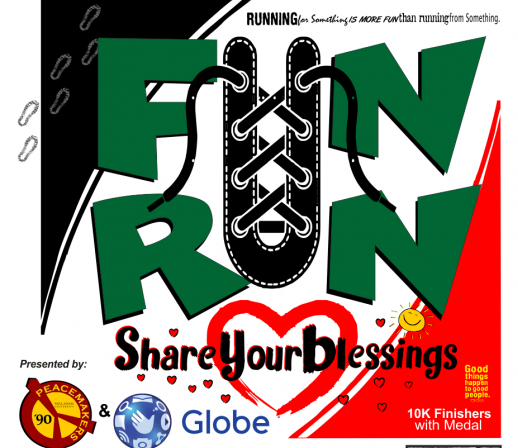 Fun Run Share Your Blessings 2016 | JustRunLah! This event is by the Holy Angel University High School Batch 1990 – PEACEMAKERS. It is a fund raising activity to support the Share Your Blessings Project for the less their less fortunate batchmates and other projects. Note: This event was originally scheduled last October 16, 2016 at CDC Parade Grounds, Clark, Pampanga. Due to typhoon Karen it was moved to November 6, 2016 with the same venue.